Homeowners need regular window well liner replacement, and they must know how to identify the signs that it’s time. The lowest level in a home is the space most prone to flooding. By protecting one of the common water entry points — the windows — with a high-quality liner, homeowners can know for certain their basement is safe from potential water damage. What Does a Window Well Liner Do? Windows are a beneficial addition to lower-level living spaces. They add light and air circulation to the room, giving basement areas an above-ground atmosphere. When basement windows are positioned below ground level, a retaining wall is placed around the window to push back the earth, leaving a hole, called a window well. This retaining wall is a window well liner, commonly made of steel. In some cases, concrete or stones are used to construct the window well. A drain is built into the liner to remove debris like leaves and dirt, making sure rainfall does not build up next to the window, but instead empties away from the home’s foundation. To check if the liner is functioning properly, regularly inspect your basement for indications of water damage. A faulty liner and draining system will result in a pool of water adjacent to your basement window after heavy rainfall. Over time, constant moisture around the window can cause the frame to rot. The seal can also fail, causing seepage from the interior concrete surrounding the window. If enough water fills the well, the pressure may be strong enough to break the glass, causing a basement flood. If your lower level is finished, it’s even more important to keep out moisture from rain and rising groundwater, but you may not be able to spot the water damage as quickly. If you notice a mildew smell near your basement windows, this could signal improper drainage. A defective drain may not require replacement. If you clean out the drain and it still does not function properly, contact a window well specialist for an assessment. The liner and drain design may require restructuring and reinstallation. If the liner begins to separate from the home structure, it’s time to purchase a new one. This could be the early stages of a liner collapse. Once that occurs, the basement windows could quickly shatter, resulting in a more costly repair. Periodically inspect each for weaknesses. Always replace liners that are attached directly to the window frame, as this type of installation is incorrect and will put undue pressure on the windows. If you notice damage to your basement window liners, contact Windowell Expressions for immediate window well liner replacement and fortification to ensure weather protection for years to come. This entry was posted in Blog and tagged Window Well Clear Covers, Window Well Covers, Window Well Custom Grates, Window Well Foundation Liners, Window Well Liners, Window Well Replacement, Window Well Standard Grates on March 31, 2015 by admin. The well-known benefit of window well covers is that they are aesthetically pleasing, giving lower-level windows a sophisticated appearance. But window well covers offer many lesser-known additional advantages. Some basement window wells are considerably deep – three feet or more. If small children or dogs are playing near the hole, a fall could cause them serious injury, especially if the window shatters as a result. Another danger is that young children and petite pets may not be able to climb out on their own, stranding them and causing caretakers to believe they are missing. If you have guests on your property such as a visiting relative or a child’s friend, an accident could expose you to insurance liability damages. Installing a protective cover will eliminate this risk. Burglars target lower-level windows. Basement windows often have specific design characteristics that allow easy egress in case of fire or other emergencies. These features make the windows weaker, an easy mark for intruders. 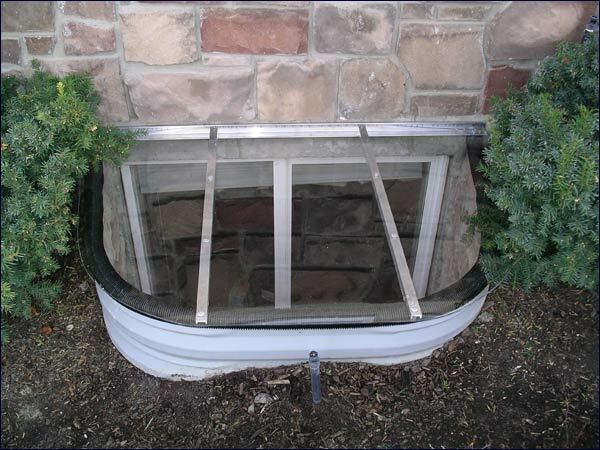 A secure window well cover will deter thieves from using basement windows as an entry point. Window well covers provide added protection against extreme heat and cold. Purchasing a cover made of durable polyurethane customized to fit your windows will assist in lowering basement heating and cooling costs. This is especially important for finished lower levels containing living space and bedrooms used on a daily basis. In the winter, covers block snow and ice from piling up adjacent to windows. While winter precipitation will not cause water damage, as soon as the built-up ice and snow begin to melt, a major leak could cause thousands of dollars in damage. Weatherproof covers eliminate this issue and keep windows dry in every season. With this protection, the windows do not face the harsh elements, so they may last longer as well. Uncovered wells also collect leaves and sticks. Debris can clog window well drains, unless the space inside the liner is cleaned out frequently. Shielding covers remove this concern, ensuring no basement floods result due to a drain blockage. Critters are constantly on the lookout for a small space to hunker down. Open window wells are a prime location. A rat, rabbit or squirrel family could take up residence and be expensive to get rid of, requiring the services of a trained pest removal technician. Instead, opt for well cover installation and keep unwanted rodents away from your home. 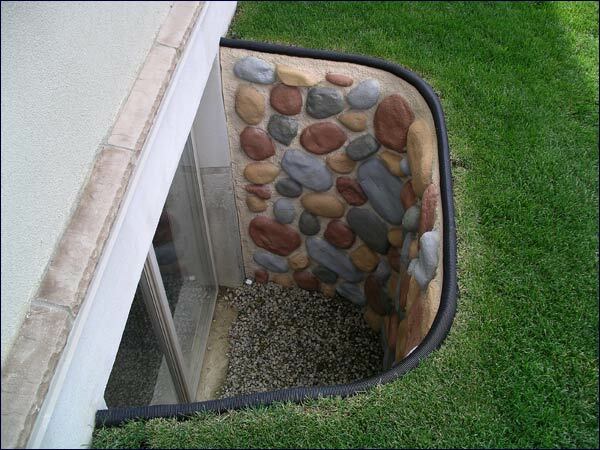 Your home is unique, and your window well covers can be as well. For specially made products and a wide range of design options, contact Windowell Expressions today for a personalized quote. Now that you are aware of how the benefits of window well covers could protect your children, pets, guests and home, it is time to take action. This entry was posted in Blog and tagged Clear Window Well Covers, Window Well Covers on March 17, 2015 by admin.